It’s almost Christmas and, from a marketing point of view, peak time of the year for sales. People are shopping for presents for friends and family, looking for special New Years Eve events to attend and generally seeking some sort of purchase. It’s a prime time for raising brand awareness and increasing your sales no matter what industry you’re in. But how do you get noticed at a time when so many companies are ramping up their marketing? Video content plays a huge part in Christmas campaigns as it works wonders for capturing your target audiences’ attention at a time where they are actively seeking some sort of purchase. Think John Lewis and Coca Cola! So, obviously the main purpose of including video content in your Christmas campaign is to promote both your brand and your offering to increase your sales. The majority of us – well, around 59% according to Forbes – would rather watch video content than read a page of text. This is perfect, as it is a lot easier to explain your product and its features alongside visuals than it is with text alone. A simple explainer video is all it takes to get your point across, eliminate any doubts in customers mind and nudge them along their customers’ journey to the purchase stage. In fact, a study by Unbounce saw a 20% increase in conversion rates from explainer videos. Testimonial videos, promos and product demos effectively achieve the same thing too, so your choice is not limited! Visit our services page for a run down of all the video production services we provide! Video content drives interested viewers to find out more about your product, service and your brand in general. Whether it’s via social media or email campaigns, video has been proven to send more traffic onto your website with just a simple call to action. In fact, according to Forbes Magazine, 50% of executives look for more information after seeing a product in a video – so make sure your video link takes them to an informative product page where they can purchase! This also means your customer can discover other products and services you have to offer. Mist Media reports that the average internet user spends 88% more time on a website with video, and that means big SEO benefits and the potential to convert them. Video content is basically a visual sales pitch, and one that does its job 24/7. They engage the viewer, they generate lots of traffic for your website and they add some much needed personailty to your brand. Studies show that 90% of customers agreed that seeing a video about a product is helpful in the decision making process. Why? Because they are relateable, shareable and memorable. These are all key ingredients of a successful lead-generating asset. A product demonstration video is a perfect asset for your Christmas campaign as it is straight to the point: highlighting special features, showing your product in action and adding credibility to your brand name. Short and sweet product videos for social media are sure to create a buzz around this time of year when people are actively seeking to buy, and are great for launching brand new products. Videos in general are highly shareable and are favoured by algorithms across all social media platforms. They are a magnet for engagement and enable you to reach a wider audience than your intended target market – for free! Using a blend of marketing and sales techniques, including an explainer video in your Christmas campaign is a smart move. They explain the ins and outs of your product and how it meets the customer’s needs in a visual form which is beneficial to your Christmas campaign. It is the easiest way to convert interest into sales. Use your explainer videos to show and persuade your target audience that your product/service solves their consumer needs. This means showing off special features, may include a short product demonstration to back up your claims, or telling your customer why they need the product in the first place. These videos are especially useful on product landing pages, with some studies showing they can increase the likelihood of conversions by upto 80%. Why? Well, because explaining your product with visual content is much easier and appealing than a wall of solid text and instils confidence in your product and brand. Tip: Get short explainers onto your social media pages and encourage people to share and comment on your post. Not only will this boost your brand awareness and your reach, but will drum up plenty of attention and encourage people to visit your website to find out what all the fuss is about! 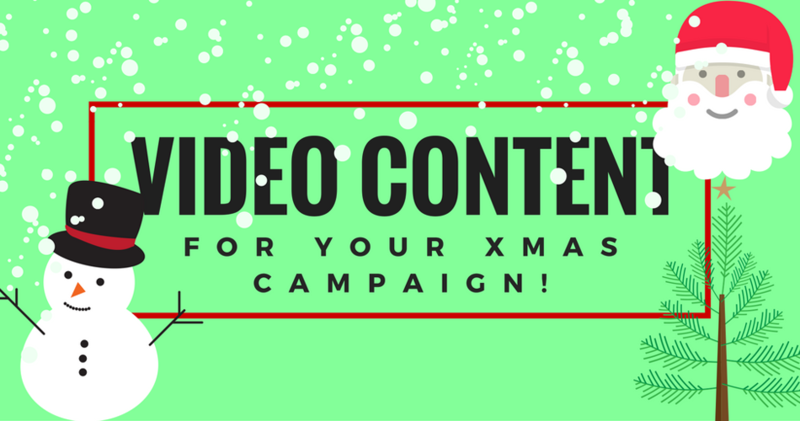 Promotional videos are an obvious choice for Christmas marketing campaigns. They are great for conveying your brands personality as well as convincing people your product would be the perfect gift. Promos are the most versatile type of video which can be used throught the product life cycle and customers purchase journey to achieve numerous objectives. For your Xmas campaign, use promo videos to communicate things like your seasonal offers or important christmas delivery information, not just your offering! This’ll serve you well when including your promo content in your email campaigns and on social media – it entices people to buy whilst giving people the information they’ll be looking for. Possibly the most iconic Xmas marketing campaign of all time, Coca Cola have used video to attract attention to their brand in such a way, it has resulted in a UK-wide tour of the famous Coca Cola truck and has lasted for more than 20 years! If you haven’t heard the “Holidays are Coming” song, where have you been?! Like Coca-Cola, John Lewis’s Christmas campaign is highly anticipated each year and is consistently one of the most shared Christmas videos year on year. 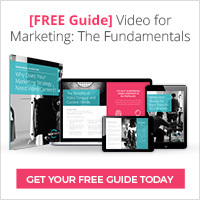 Great insight shared on how to use video content to market your brand and get traffic. Thanks and Please keep sharing. Thanks Mehul! Glad you found it helpful! Thank you! I hope you find this information useful and feel free to share with it anyone you think would benefit from it. Hi Amber, thanks for the comment! I’m glad you found this useful, feel free to read some more of our articles or sign up to our newsletter!